-- Dr. Donald O. Clifton (1924-2003), inventor of the Clifton StrengthsFinder and recognized as “the Father of Strengths-Based Psychology and the Grandfather of Positive Psychology” according to the American Psychological Association. As a Gallup Learning Consultant, I share these words in almost every session I lead. Don Clifton spent his life researching what was right with people. He and his colleagues interviewed millions of successful people over 40 years, logging and analyzing the traits that led to their success. There was greater power, Clifton realized, in studying our successes and what led to them, than in studying our failures. Helping your client consider their own successes can be a powerful strategy in helping them to overcome current challenges. My advice to you when studying your client’s success: be patient. I’ve posed this question to course participants, coaches, and colleagues, and found that many people have a tough time recalling a moment of past success quickly and easily. As humans, steeped in the tradition of weakness-fixing, our moments of failure and error are top-of-mind, but our successes are usually not. People often have a blind spot with regard to their own strengths, but an elephant’s memory for what they did wrong. However, I can also attest that once the conversation does turn to moments of victory and accomplishment, there is a palatable shift in the energy in the room or in the one-on-one conversation. Questions like the ones below can help coaches and clients unpack the talents that led to their success. Tell me about a recent success you’ve had. Describe a time when you were firing on all cylinders. How have you been successful in the face of this challenge in the past? What are your greatest personal or professional triumphs? With past success in the spotlight, you can begin the work of thinking through how to replicate that success by intentionally leveraging those specific talents. People change a little when they describe that moment: their eyes light up, they smile, they talk faster and with more fervor, and they physically lean in. The energy that comes from recalling success is the essence of power and strength. It’s the energy you are trying to capture and bottle for them as their coach. Start with yourself. 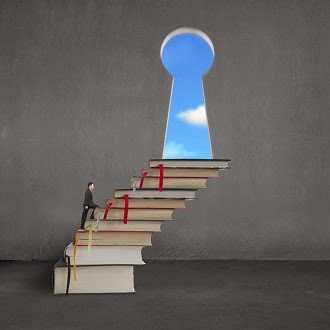 Study your own successes to unpack your own talents and strengths. Have more interest in your client’s successes than their failures -- and ask your client about them! Be patient if they can’t come up with examples right away. Encourage them to think of professional or personal examples, both will contain clues to talent. Actively listen to their stories to help your client identify their key talent recipe. Their talents are the ingredients they can consciously use to replicate that success. Encourage your client to brainstorm ways to replicate success by consciously aiming their strengths in new and different situations. Don Clifton understood the link between who people are and what people do. As strengths coaches, we have one of the best jobs in the world, we get to help people discover this link and become more of who they naturally are in order to be the very best version of themselves. 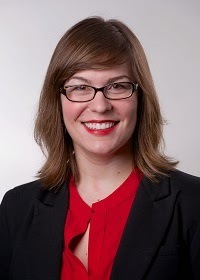 Mara Hoogerhuis is a Learning and Development Consultant at Gallup. Mara delivers impact for her clients by designing and creating an engaging learning environment to improve individual performance and drive organizational results. She has provided strengths and engagement coaching to individuals and teams in many industry sectors, including financial services, consumer packaged goods, technology, healthcare, and retail. Mara, Thank you for the great coaching tips!